While a few teams have created some serious distance in their particular MLB division title race, things continue to heat up in a few other races that are just too close to call. When it comes to betting on the games, you can always count on BetAnySports as the best online sportsbook for US players. The Boston Red Sox continue to set the pace in the AL East at 9-1 in their last 10 games as part of a MLB-best 85-35 record overall. They swept Baltimore on the road over the weekend in a four-game series by a combined score of 34-17. The Red Sox will stay on the road this week for two games against Philadelphia before retuning home for next weekend’s three-game set against Tampa Bay. 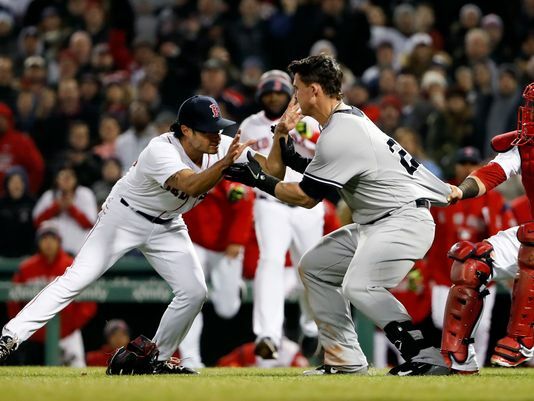 The New York Yankees have the second-best record in baseball at 74-43, but they are 9.5 games in back of their bitter rivals in the AL East. They took three of four against Texas at home over the weekend to improve to 6-1 in their last seven games. The Yankees will play a makeup game against the New York Mets at home on Monday before facing Tampa Bay for three games as part of this extended 11-game home stand. Cleveland continue to roll in the AL Central at 66-51 after winning seven if its last 10 games. The Indians’ lead over Minnesota has ballooned to 12 games heading into this week’s three-game inter-league road series against Cincinnati. Houston continued to give up ground in the AL West Division race with four straight losses at home to Seattle over the weekend. The Astros are 73-46 overall with Oakland (70-48) just 2.5 games back and the Mariners (69-50) now four games off the pace. The Atlanta Braves remain in a tie with Philadelphia atop the NL East with both teams posting a 6-4 record over their last 10 games. The Braves are 64-51 overall following Sunday’s 8-7 victory against Milwaukee as -138 home favorites with BetAnySports. The Phillies lost to San Diego 9-3 on Sunday as -115 road favorites. The NL Central remains tight with the Chicago Cubs (68-49) holding a three-game lead over the Brewers (67-54) with St. Louis in the hunt at 63-55. The Cardinals have won their last five games with a 8-2 record in their last 10 contests. Just a game and a half separate three teams in the NL West with Arizona (65-54) still holding the slight edge over the Los Angeles Dodgers (64-55) and the Colorado Rockies (63-55). All three teams have gone .500 or worse over their last 10 games.